Home World Islamic bookstore sold out book – How to beat wives !! 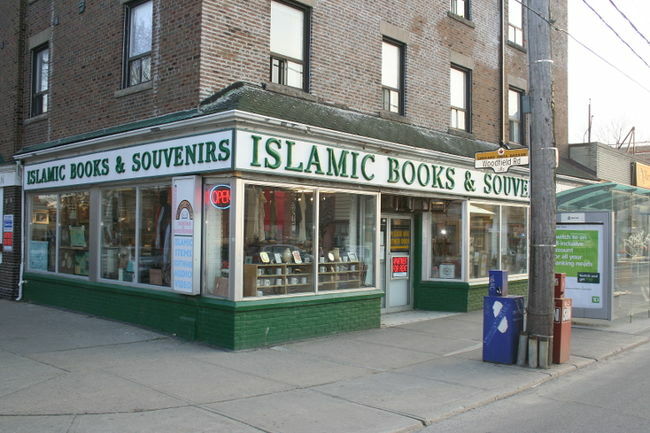 An Islamic bookstore in Toronto had been selling a marriage guide which was advising husbands how to beat their wives. Most interesting thing is that book is now OUT OF STOCK. Shamim Ahmad, owner of that Islamic bookstore said that there were not any copies left now. The author of this book is an Indian publisher which teaches how to control disobedient wives. The store manager told that no any copies left now. All copies have been sold out. The 160-page books state that a wife must not leave the house without husband’s permission and she must fulfill his desire. Book states that husband can beat his wife by hand or a stick. They can also pull her by years for punishment. Well, Store owner has decided not to bring more copies of those books anymore after this issue came in media. He also denied speaking anything else regarding this as advised by his lawyer. Well, Ahmed should be charged for selling such book. Many knowledgeable persons saying that there are many more books present in these kinds of stores which are more dangerous than above mentioned book.